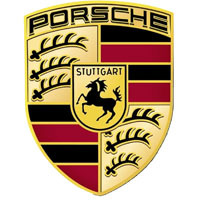 Instantly recognisable from the exterior, keep the interior of your Porsche in pristine condition with our tailored Porsche car mats. Manufactured and hand finished in the UK, they are available in a luxury wool twist pile and customisable right down to adding your own text or logo. Choose also the colour and material of the edge trim, with real leather our premium option, and let us swiftly deliver them to your door. Hardwearing, waterproof and fire retardant, our car mats are covered by the manufacturer’s warranty, cut to the original Porsche templates, and supplied with all the fixings needed for an easy, precise and secure fit.